We are pleased to welcome attorney Arthur Zittell to the firm. Art, who will be of counsel, brings 45 years of law experience, with the past 30 years as a sole practitioner specializing in family law. Rated an AV-Preeminent attorney by Martindale-Hubbell for the past 28 years, Art is skilled at helping clients navigate the difficult process of family law matters, including complex financial cases and contested child custody cases. Recognized for the past several years by Super Lawyers magazine as one of the top attorneys in Southern California, Art earned his bachelor’s degree from California State Northridge (Valley State College at the time) with a major in history and his law degree from Loyola Law School. 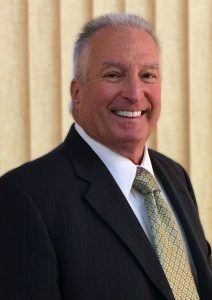 After graduating, he was sworn in as an attorney and served nearly three years as a prosecutor at the Ventura County District Attorney’s Office before going into private practice in 1975. Welcome to the firm Art!